Premier League survival is Leicester’s top priority but a victory in any competition would be welcomed by the faltering Foxes and it could arrive in their FA Cup fourth-round replay with Derby at the King Power Stadium. 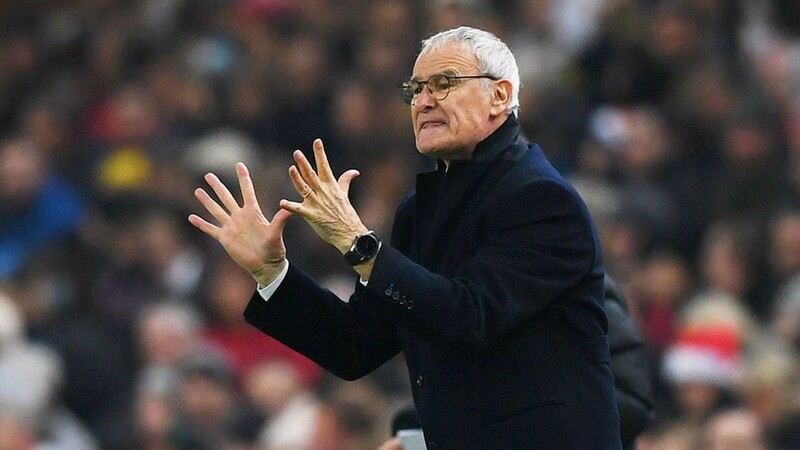 Claudio Ranieri, who has been handed a vote of confidence by the Leicester hierarchy, took a lot of credit for leading his side to a stunning 2015-16 title triumph but the Italian is now facing increasing questions about his Foxes future. He is the 3-1 second favourite to be the next Premier League manager to leave his post and the pressure on him could increase by the end of this week with Leicester at risk of being knocked out of the cup and dumped into the drop zone. There is an argument for resting players for Sunday’s match at Swansea, which looks a much more important fixture, but Leicester’s chances of a positive result in south Wales would not be helped by a demoralising defeat at home to a Sky Bet Championship side. The Derby match is all about recovering the winning feeling which Leicester players have not felt since their 2-1 success at Everton in the FA Cup third round. Leicester looked devoid of confidence and belief in the second half of Sunday’s 3-0 loss at home to Manchester United but they had started the match in a positive fashion and competed well until a disastrous spell either side of half-time when they conceded three goals in the space of ten minutes. Key men Riyad Mahrez and Jamie Vardy were lively in the opening 30 minutes and will have to do much more if Leicester are to stay in the top flight. Vardy hasn’t found the net since he scored a hat-trick in a 4-2 victory over Manchester City and Mahrez’s goal drought goes back to late November when he scored from the spot in a 2-2 draw at home to Middlesbrough. However, Vardy and Mahrez are match-winning players better than anything Derby have in their ranks and a home fixture against lower-division opposition may be just what they need to reboot. Derby have responded well since Steve McClaren returned for a second spell in the dugout. They have collected 36 points from 18 league games under the former England gaffer and have dumped Premier League West Brom out of the FA Cup, winning 2-1 at the Hawthorns. However, the victory over Albion was laced with good fortune – they lost the shot count 28 to seven – and they were second best in the second half of their 2-2 draw at home to Leicester. They had a good spell in the first half against the Foxes with influential midfielder Will Hughes pulling the strings but the 21-year-old limped off with a muscle strain on 62 minutes and he remains out of contention. Derby have an important home match with Bristol City to consider on Saturday and McClaren may think about holding back one or two key players for the weekend. The Rams boss will put out a side he believes can compete but the chance to side with Leicester at odds-against looks too good to miss. Will Hughes (hamstring) is likely to miss out and Craig Bryson (knee) and Bradley Johnson (leg) are doubts. David Nugent is back in full training and could make the bench.